How do you tell the story of the largest healthcare construction project in North America? In 3,000 words? That’s what CannonDesign’s Director of Communications came to me to do. “We want to create a narrative that tells the many dimensions of what makes the CHUM special,” he said. 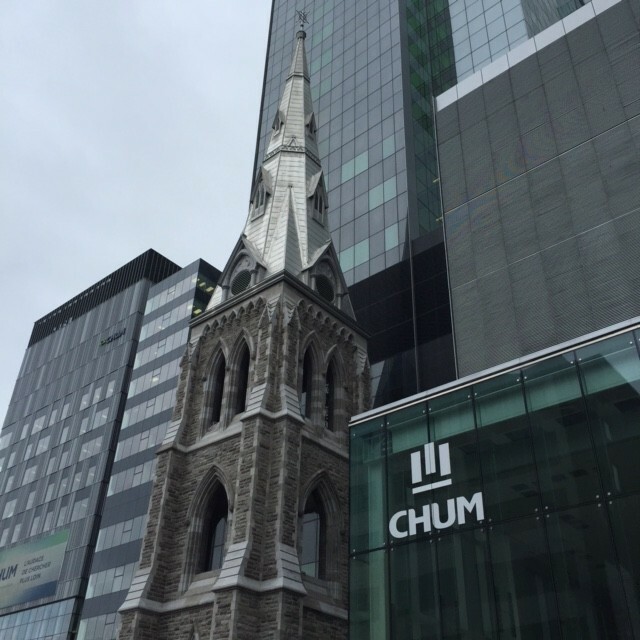 Slated to open in 2017, the CHUM is a 21-story building complex that fills two city blocks near downtown Montreal. After reading up on the project, I traveled to Montreal to interview members of the design team and tour the facility, which was still under construction. Then I interviewed two more members of the design team in CannonDesign’s Chicago office. Such an interesting project, with so many stories to tell! Since other pieces had already been written on the architectural design and the technology used to create and track the project, I focused on the collaborative process that it took to develop, design, and construct such a large, complex facility. CannonDesign intends to use the 3,000-word narrative in its marketing efforts. And, even better, the content can be leveraged to create all sorts of things — slideshows, presentations, infographics, a case study piece, blog posts, etc.